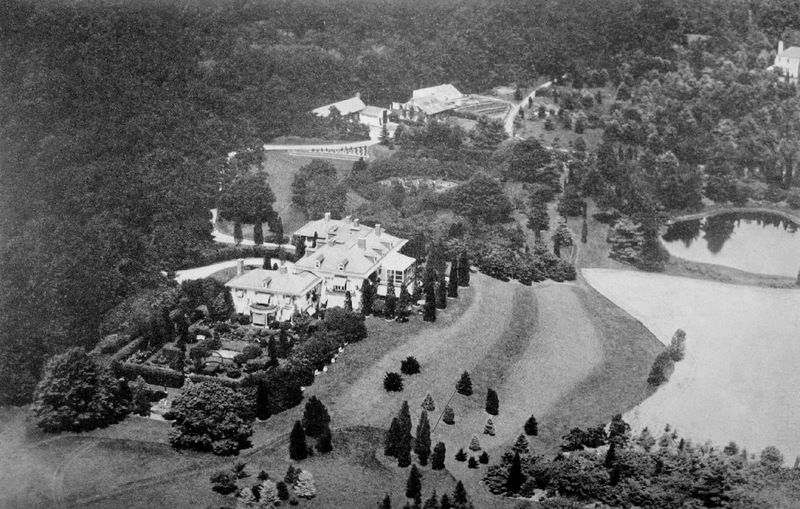 'Old Acres', the Robert Bacon Sr. estate designed by John Russell Pope c. 1907 in Old Westbury. Click HERE for more on 'Old Acres' which has since been demolished. Photo from American Architect, 1927. Very good looking; but the mature landscaping seems to be blocking a lot of the views a house on this high ground probably had. I would have taken out a lot of those Junipers. This portion of Old Westbury is relatively flat compared with the portion north of the L.I.E.